Our taxi fleet can service groups up to 12 people, perfect for conference groups and parties. We offer single-destination services and all day events. Our fleet includes a hybrid Toyota Prius taxi for eco-conscious commuters. 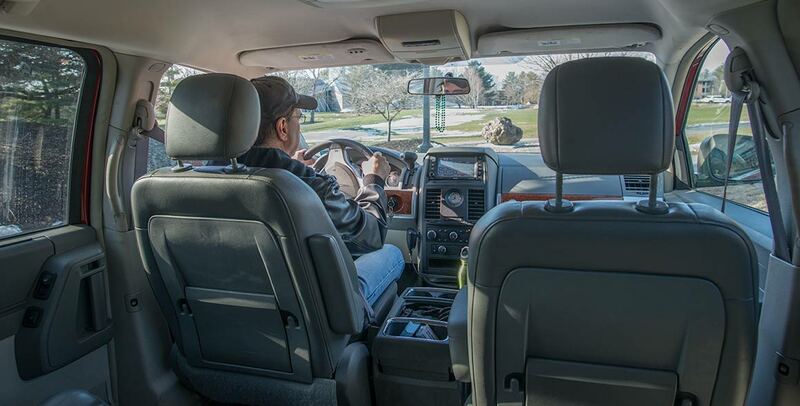 We pride ourselves on the cleanliness of our vehicles and the courtesy, professionalism, and experience of our drivers. Our focus is on customer service, which is why we’ve been in business for over 14 years! 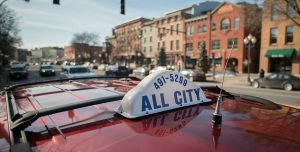 Enjoy the bars of Caroline Street or the restaurants of Broadway in downtown Saratoga Springs—we’ll get you there and we’ll get you home! Are you staying at the Hampton Inn at Saratoga, or perhaps the Saratoga Hilton? Whatever hotel, motel, or bed & breakfast you’re staying at, we’ll get you where you need to be. 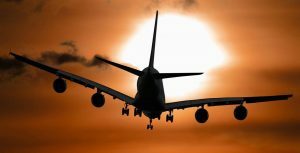 Don’t miss your flight! 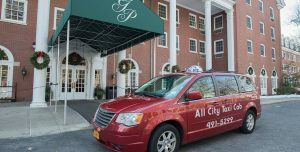 We’ll get you to the Albany International Airport on time! We also service the Saratoga County Airport; a popular hub for the Saratoga racing season. Taking the train to Saratoga Springs? 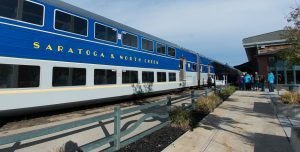 We’ll meet you at the Saratoga Train Station and bring you where you need to go, whether it’s your Saratoga Springs lodging or off to the races! 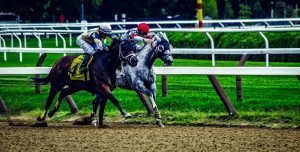 When you need to get to the Saratoga Racecourse or the Saratoga Casino, we’ve got you covered. Don’t worry about a ride, worry about winning big instead! 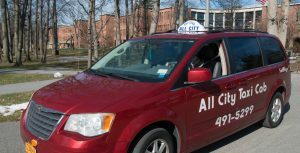 All City Taxi is the perfect solution for Skidmore students and family members who need to get around town with no fuss. Whether you’re going to a concert, orchestra, ballet, or graduation party at SPAC, we’ll get you there.